How Much Does It Cost to Install CCTV at Home? This is one of the most common questions we’re asked by people who are thinking of getting CCTV cameras installed at home. However, it is not an easy question to answer without finding out more about their requirements. How many cameras do you want or need? Do you want a wireless setup or a wired system? Are you willing to install it yourself or would you rather hire experts to complete the installation? Are you willing to invest in high-quality cameras, or do you want to go for cheaper ones? 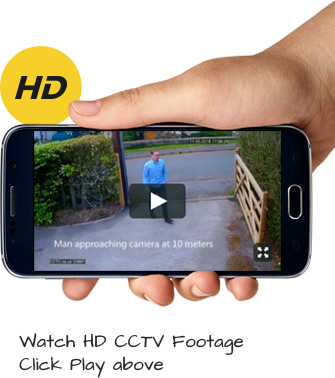 Each of these elements will have an impact on the cost of installing CCTV at home. That’s why it is important to have some idea of your budget before you begin. It’s also wise to speak to an installation expert to make sure you know what will work best for you and your home. Some people find the cost of the ideal setup is more than they had bargained for. Some are willing to save for longer to ensure they get what they want, rather than paying for a much cheaper system that won’t protect them as well as they had assumed it might. Hence why budget is so important. You need to know roughly what you can afford. It is a good idea to consider a few alternative systems too. For example, you might have a brand name in mind that proves to be too expensive for you. However, a professional installer might be able to provide a cheaper alternative solution that still provides a similar degree of quality. The great thing about home CCTV is that there are lots of options available. This might seem daunting to start with, but when you realise how beneficial this is, you will realise you can still find the ideal system for the right price. One final tip – take your time to find the right system you can afford that won’t let you down. Buying a cheap kit and getting it installed today might seem like a good move to make. However, you will probably feel far more secure with a better system once you’ve taken advice from an expert.